In 2017, the Department of Health and Human Services made a statement that the opioid crisis represented a nationwide public health emergency1. The recent recognition of widespread overuse of opioids from physicians and policy-makers alike supports this declaration. Opioid monotherapy may be considered conventional care at multiple healthcare institutions given its high aptitude for analgesia. Yet, as exemplified in the public health emergency statement, opioid monotherapy is associated with several severe side effects, from respiratory depression to delirium, that may mitigate post-operative recovery. Given this landscape, it is suggested that multi-modal pain regimens may affect post-operative pain control for patients, thus acting as a viable solution. Multi-modal pain regimens, also referred to as multi-modal analgesia, are composed of two or more pain relief treatments prescribed in a single time period. The treatment algorithm may include pharmacologic agents, such as opioids, benzodiazepines, and anticonvulsants, alongside non-pharmacologic treatments such as application of heat or cold, therapeutic massage, or electroanalgesia2. Generally speaking, the appropriate multi-modal pain regimen is decided between anesthesiologists, post-acute care specialists, and the primary care physician, and may differ depending on the patient’s health history and the guidelines set by the surgery’s recovery period. Indeed, a multi-modal approach is supported by leaders in the anesthesiology and pain management fields. The American Pain Society released a set of guidelines for post-surgical pain management, including specific algorithms for a multi-modal analgesia approach3. The Society in part determined that acetaminophen and/or non-steroidal anti-inflammatory drugs should be considered as part of a multi-modal approach. This collection of guidelines was further endorsed by the American Society for Regional Anesthesia, a professional society for clinicians and scientists involved with anesthesiology. Multi-modal treatments will range with regards to the combinations of treatments, and efficacious algorithms continue to be researched. 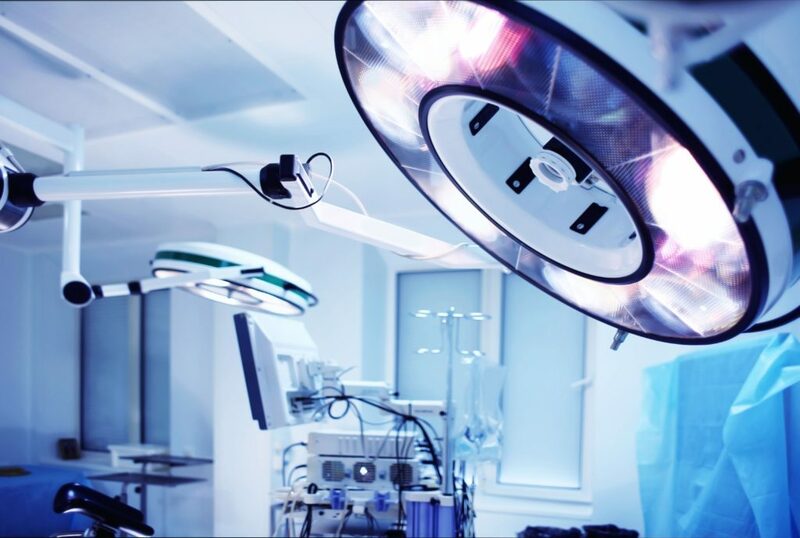 In recent news, studies have suggested that a multi-modal analgesia approach administered to patients undergoing Cesarean section (C-section) has an impactful effect on patient post-operative opioid use, as well as length of stay. Maternal and pregnant populations are often understudied with respect to anesthesia and pain management. To address this population, researchers from the University of Illinois Hospital and Health Sciences System created a multi-modal approach for C-section mothers4. In the multi-modal experimental cohort, patients were prescribed a combination of ketorolac, gabapentin, and/or acetaminophen depending on the patient’s pain designation score. A small subset of patients who reported significantly higher pain scores were given an opioid in combination with other medications. The control was standard of care opioid treatment. In the trial, the multi-modal cohort reported a 52% decrease in the number of opioid tablets prescribed at discharge. In detail, 89% of control patients were prescribed opioids at discharge, compared to 32.5% of the multi-modal cohort patients. Moreover, the multi-modal cohort reported a decrease in length of stay. The long-term effects of a multi-modal approach on post-operative care will continue to be explored, however this trial provides optimistic evidence towards a non-opioid or minimized opioid multi-modal regimen for post-C-section patients. Continuing the initiative for research-driven, updated treatment algorithms for patients will last as a priority for clinicians and scientists in anesthesia and pain management. Multi-modal pain regimens serve as an important lever to affect post-operative acute care, thus supporting broad clinical efficacy as well as population health. 1. U.S. Department of Health and Human Services. “HHS Acting Secretary Declares Public Health Emergency to Address National Opioid Crisis.” HHS.gov, US Department of Health and Human Services, 23 May 2018, www.hhs.gov/about/news/2017/10/26/hhs-acting-secretary-declares-public-health-emergency-address-national-opioid-crisis.html. 2. Helander, Erik M., et al. “Multi-modal Analgesia, Current Concepts, and Acute Pain Considerations.” Current Pain and Headache Reports, vol. 21, no. 1, 2017, doi:10.1007/s11916-017-0607-y. 3. Chou R, Gordon DB, de Leon-Casasola, et al. Management of postoperative pain: a clinical practice guideline from the American Pain Society, the American Society of Regional Anesthesia and Pain Medicine, and the American Society of Anesthesiologists’ Committee on Regional Anesthesia, Executive Committee, and Administrative Council. J Pain. 2016;17:131-157. 4. Khudeira, Zahra. “Use of Multi-modal Analgesia in Women Post-Cesarean Section: From Innovation to Bedside.” ICHP: Journal of the Illinois Council of Health-System , vol. 44, no. 08, 2018.